Finally, the third stage uses the infamous ) to gain root control over the infected phones. Once successfully installed, Exodus can carry out an extensive amount of surveillance. This is the second instance in the past year when an Italian software company has been caught distributing spyware. Earlier last year, another undisclosed Italian firm was found distributing “Skygofree,” a that gives hackers full control of infected devices remotely. 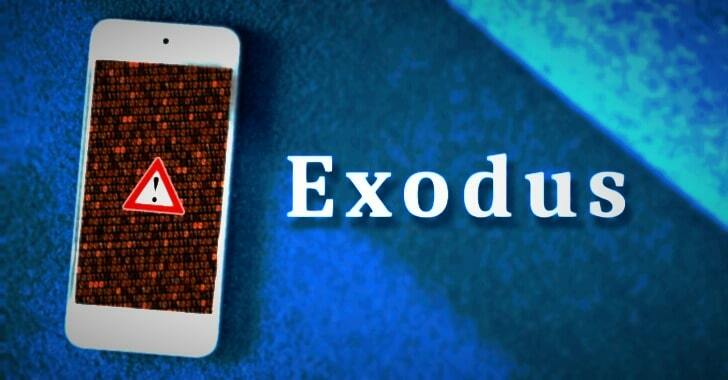 Hey Buddy!, I found this information for you: "‘Exodus’ Surveillance Malware Found Targeting Apple iOS Users". Here is the website link: https://hacknews.co/malware/20190409/exodus-surveillance-malware-found-targeting-apple-ios-users.html. Thank you.